Jason Mercier wishes he ran as good as Erik Seidel in 2011. The second Epic Poker League Main Event ($20,000 8-Max) played down to its final table, with one very familiar face in position to make yet another big score in 2011. 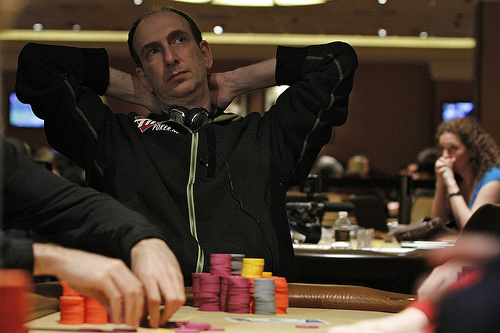 Erik Seidel, he who has already earned over $6.2M on the circuit this year, finds himself second in chips going into final table play, stacked at 1,031,000. He slightly trails overall chip leader Paul David Steicke with 1,059,000. If Seidel pulls out the win and $782,410 first place prize, he’ll push his earnings for the year to over $7M–a figure that–minus the WSOP Main Event prize pool– may never be matched again. Other notables making the final table include Fabrice Soulier (537,000) and Dutch Boyd (393,000).